LinkedIn, the business-focussed social networking site, has released its first Windows Phone app, following the launch of its iPad app last month. 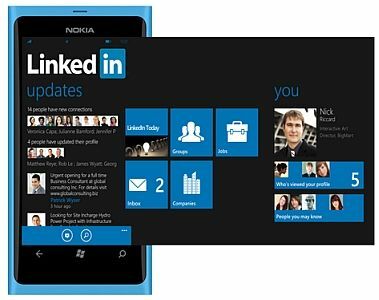 The new LinkedIn app is heavily inspired by the Windows Phone Metro-style user interface and Live Tile capabilities, allows users access real-time updates from contacts and groups. It also lets users access real time industry news and explore job listings. The app is available for free in the Windows Phone Marketplace and runs on devices having Windows Phone 7.5 and above. "We know professionals rely on their mobile devices every day to conduct business and to stay prepared for their work day," a mobile product manager at LinkedIn, Tomer Cohen, wrote in a blog post. "We've been working hard to make this new LinkedIn app best-in-class in the Windows Phone marketplace." According to LinkedIn, some features of its near-1MB Windows Phone app surpass those of the iOS and Android LinkedIn apps. 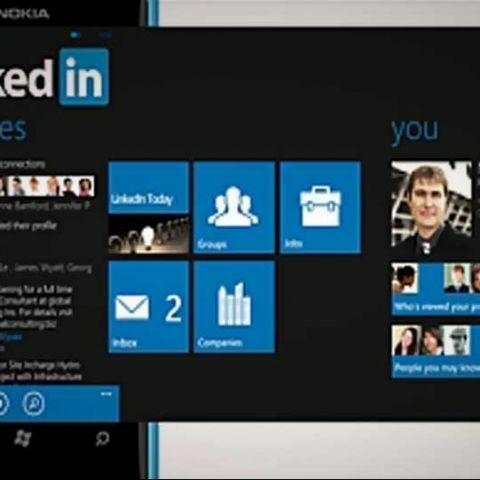 LinkedIn says its Windows Phone app specifically direct users to the 'companies' and 'jobs' features. "You'll find that in some cases (hint: companies and jobs), the Windows Phone app offers even more functionality than its iOS and Android siblings," Cohen further says. LinkedIn last month announced its iPad app, which was optimised for the new iPad's Retina display. The iPad app featured a new calendar with which users could check out the LinkedIn profile information for people with whom they are meeting. LinkedIn is said to have more than 150 million members worldwide. To download LinkedIn for Windows Phone, click here.